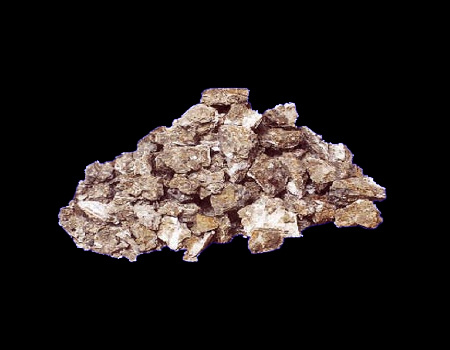 Bentonite is a clay mineral predominantly consisting of mineral Montmorillonite mixed with some related minerals like Nontronite and Beidellite. These are three layered Aluminosilicate with molecules of water between layers. For natural Sodium Bentonite, exchangeable sodium cations are predominant, rather than other cations like calcium, magnesium etc. Similarly in Calcium Bentonite, calcium cations are predominant. In fact in all bentonites available in the world, the sodium variety has high swelling and gelling properties alongwith good viscosity and liquid limit. The bentonite found in the Kutch region of India is of igneous origin. It was formed millions of years ago, possibly from the volcanic ash falling in stagnant saline water in semi-arid conditions. Due to the natural characteristics of these particular volcanic ashes, the chemical composition of this bentonite is somewhat different from the bentonite available in the rest of the world. Most of these deposits are of natural sodium bentonite with higher iron content which gives them their darker colour. Due to very fine particle size, this bentonite shows extra-ordinary swelling capacity and bonding powers. These differences mean that the Kutch bentonite finds the most number of uses in various industries throughout the world. 1. Iron ore pelletization - Kutch bentonite has higher natural percentage of iron which are ideal in isolating iron ore pellets with the maximum percentage of iron. 2. Foundry Application - A very good sodium bentonite for casting industries is available at the Kutch region. Almost all cast iron, steel, & malleable iron foundries are using this bentonite with cost efficient results. The use of the Kutch bentonite is successful in continuous mould making too. 3. Water well & Oil Well Drilling - The special higher mud yield results in using less quantity of Bentonite for the same standard mud. This results in lesser requirement of Bentonite. 4. The calcium Bentonite from the Kutch make for some of the best bleaching clays comparable or better than any known bleaching clays. 5. Water Proofing - The Kutch Bentonite has excellent filteration loss properties, which makes it ideal for all water proofing uses, as well as environment protection utilization. 6. Agriculture Granules - The natural distance between the layers and high porosity make the Kutch Bentonite an ideal material for agricultural pesticide use. 7. Animal Feed - Here also because of good clumping properties, the Kutch bentonite is ideal to make good extrusions with lesser quantity of bentonite. 8. Pet litter absorbents and Bleaching clays. L.O.I. 13.28 6.44 5.3 7.3 moisture % wt.